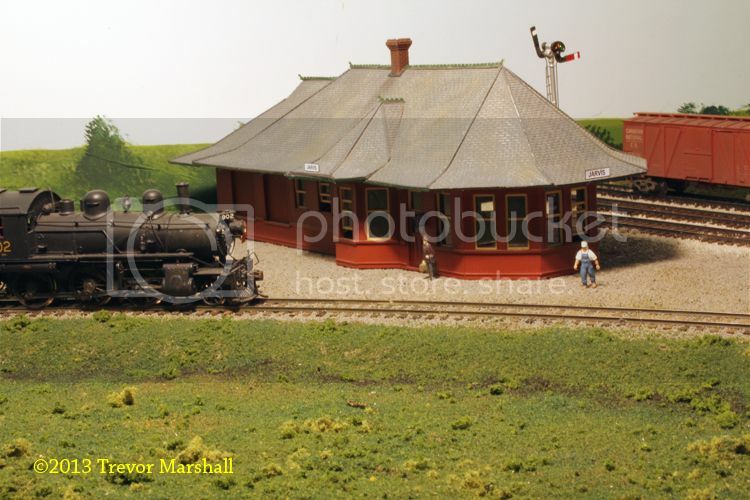 In September, I wrote about acquiring an S scale version of the NMRA’s tribute to Bob Hegge and his Crooked Mountain Lines. This tribute takes the form of a PRS boxcar decorated for Hegge’s famous freelanced interurban line, inspired by the likes of the Oregon Electric. While I’m a prototype modeller at heart, I’ve noted before on this blog that I have a soft spot for Hegge’s work. 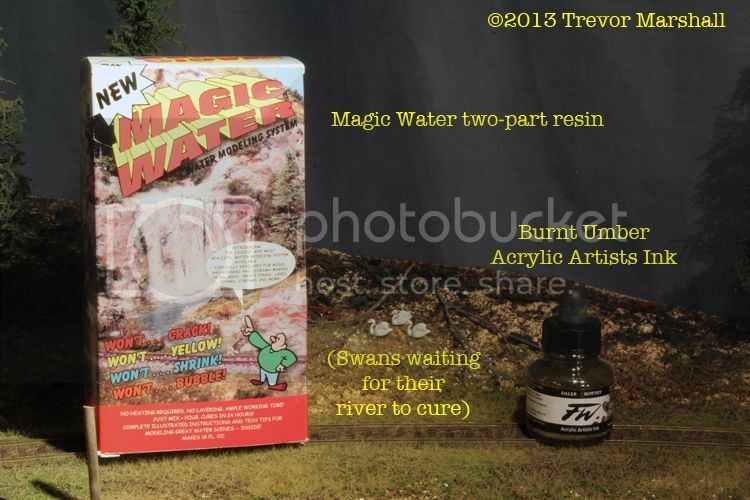 It greatly influenced my own journey in this hobby. 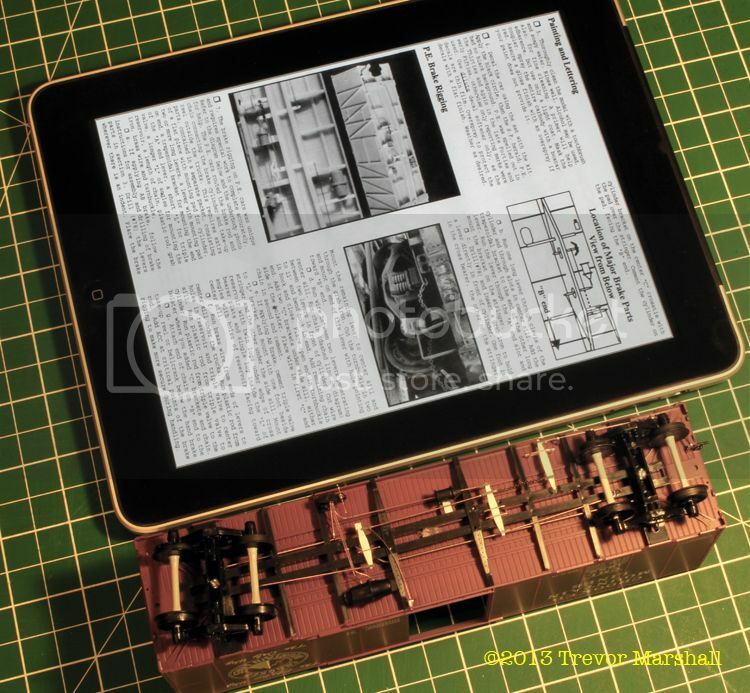 So I’m happy to break my from prototype-mindedness, enact “Rule One”* and let this model roam the rails. I’m not sure what it’s doing in Port Rowan – possibly, it delivered a load to Montreal or a point further east, and it’s been grabbed by the CNR to deliver another load en route to its home in the northwestern United States. I’ll figure that out. In the meantime, now that the kit has had a couple of months to “acclimatize” in my layout** room it’s time to build it. When I acquired it, I decided that this car would look really neat with what I’ll call “PE Brakes” after the Pacific Electric, which used a modified brake rigging system on some boxcars to allow them to negotiate tight curves. The big change from the conventional arrangement is that the rod connecting to the brake staff does not run through the truck (between the wheels) to the B-end of the car: It’s mounted along one side sill to allow the truck to rotate freely. This required an extra lever and a bunch of hangers and adds visual interest when the car is viewed in profile. The rigging took most of yesterday afternoon – in part because I had to translate instructions for a wooden prototype with fish-belly centre sills to a steel car with no fish-belly. The PRS kits come with a brake-rigging system that’s injection moulded in a single piece – piping, rodding, appliances, levers, hangers, etc., all in one. I cut away the piping and rodding, drilled holes in the various appliances to accept wire, and rearranged the pieces while trying to follow the PE instructions as closely as the different styles of frame would allow. I cut and sanded my own levers, and employed the common trick of cutting turnbuckles in half to use as clevises. There are three levers and a lot of clevises on this car. As the lead photo shows, I masked the sides to protect the CML lettering (which is the whole point of this particular car, after all) and then sprayed the frame (and the trucks, not shown) with tarnished black to blend everything together. I can now move on to building the rest of the car in the more conventional manner. In no time at all, this unique tribute to a personal influence will be rolling on my layout. 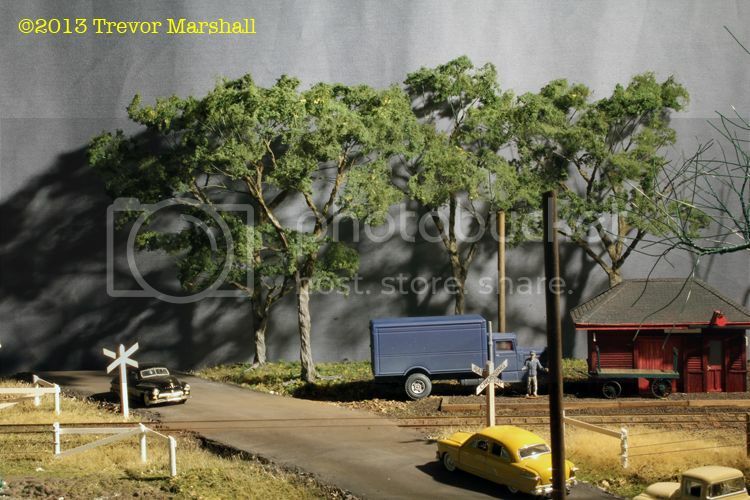 I was reading the cover story by Bob Smaus in the current (October 2013) issue of Railroad Model Crafstman magazine and Bob mentioned that he’d had some lettering produced for an HO scale truck by a company called Diecast and Decals. It’s the first of heard of this company and I’m intrigued so I thought I’d share it here. 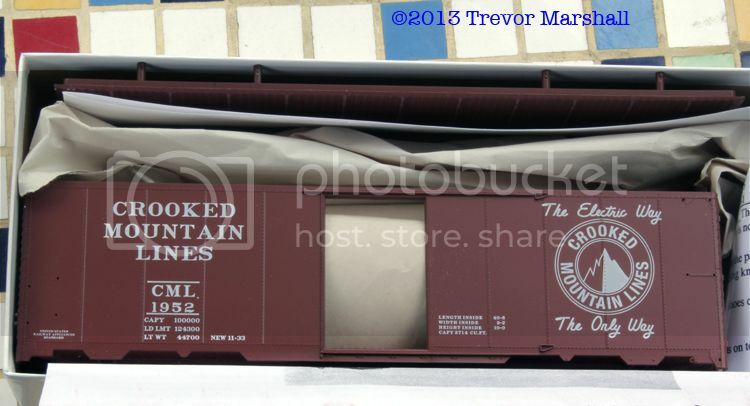 I’m going to get in touch with owner Joe Schulte to see if he can do some S scale lettering for CNR express and freight vehicles. You GET to build it! Before I do, in the interest of full disclosure I must tell you that Fast Tracks owner Tim Warris is a friend. We’ve broken bread together (or, at least, sushi) and I’m looking forward to having him visit sometime when we can run an operating session on my layout. That said, I’m also a customer – I’ve bought several turnout building fixtures from Tim, plus the ancillary tools such as the Point-Form and the Stock-Aid. 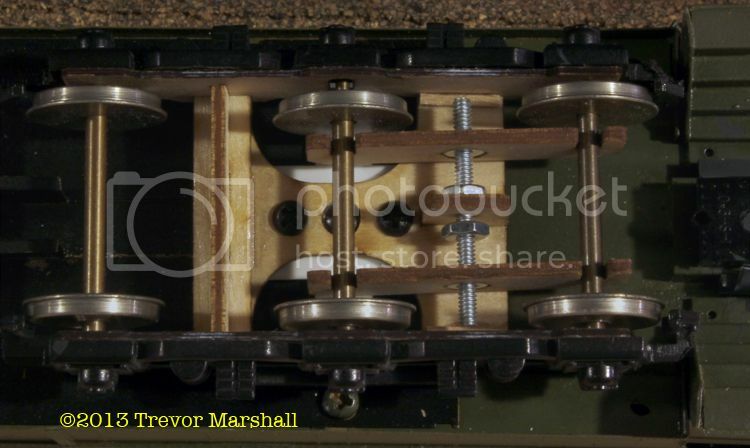 There are several of his Bullfrog manual switch machines under my layout. And he’s even done some custom work for me on a couple of occasions. You don’t have to build it: You get to build it! This speaks to the heart of why I’m in this hobby. As I’ve progressed in the hobby, I’ve learned to be comfortable taking on more and more tasks where I do the work. Track is a good example. In the past, I’ve used a lot of flex track and ready-to-plant turnouts. But even before Tim started his business – before I knew him at all – I started hand-laying my track. My first attempts were a disaster, but I got better – and when Tim’s tools and aids became available, hand-laying track went from something I had to do, to something I enjoy. I was in a local hobby shop and as the only customer there at the time, I had plenty of time to chat with the owner. He confided to me that his biggest challenge right now is getting reliable sources of stock. I assumed the problem would be related to smaller, mom-and-pop shops folding their tents but even the large companies are causing him grief. He told me that for the past several months, he’s been unable to get track from one supplier – no flex, no turnouts, nothing – because the company has had issues with its overseas factory. 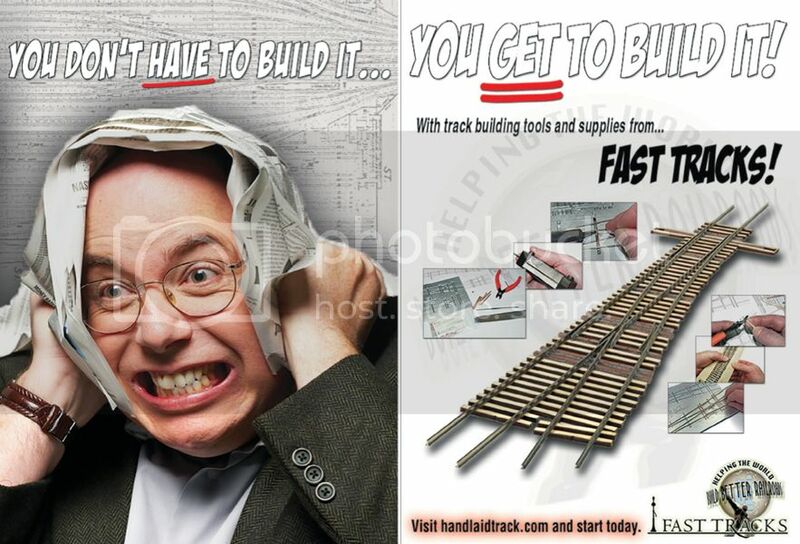 Obviously, hand-laid track is not something people tackle if they’re building a “train set”. 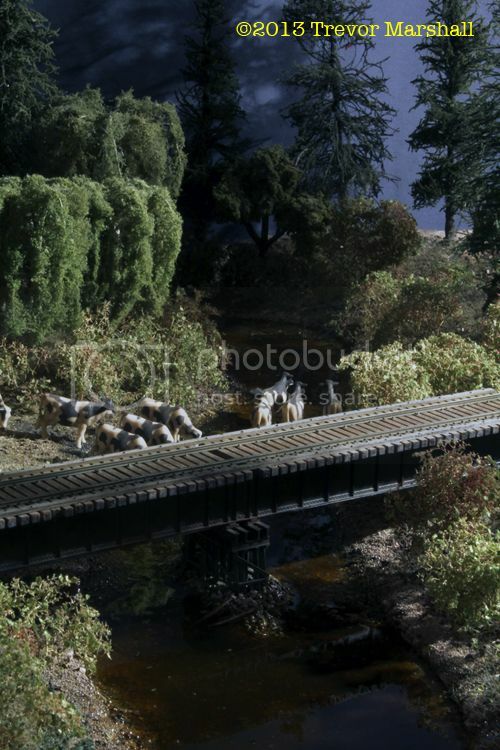 And of the relatively few who graduate from the train set to become model railway enthusiasts, the first serious layouts will probably also be built with commercial track. 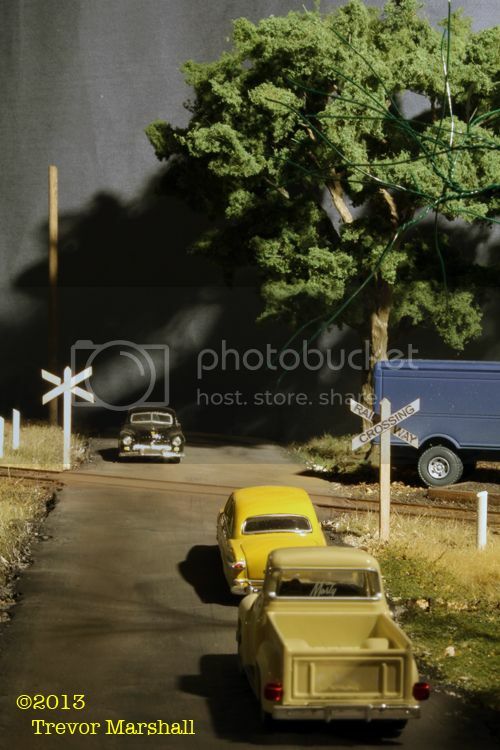 In fact, many hobbyists will never tackle hand-laid track – just like many will never build a resin freight car kit, or scratch-build a boxcar or a structure, or twist their own tree armatures from florist wire. And that’s fine. But for me, learning these skills has not only been satisfying, it’s also given me a degree of freedom to pursue the hobby on my own terms. 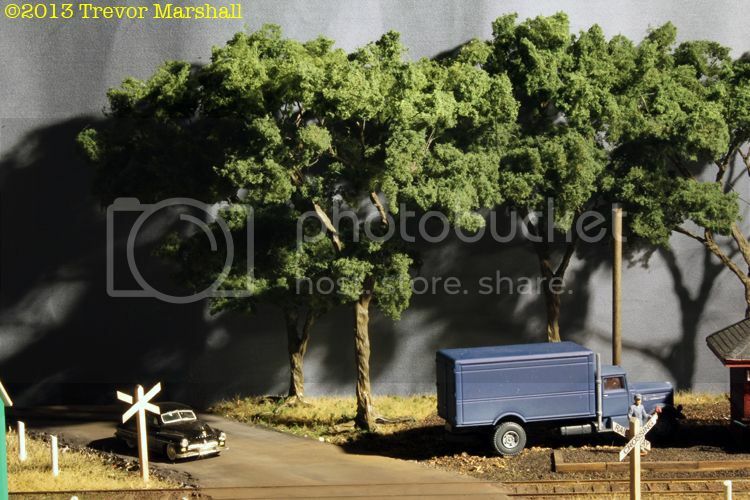 My layout – my hobby – will not come to a grinding halt because a factory on the other side of the world has decided it would rather produce toasters and televisions than toy trains. I don’t have to build my trees, structures, track, bridges, rivers, meadows, roads, fields, etc. I get to build them. I still have plenty of things to do on the layout with the skills I have already acquired. But I also have a list of projects that will require learning new skills. I look forward to learning those skills, and gaining more freedom. 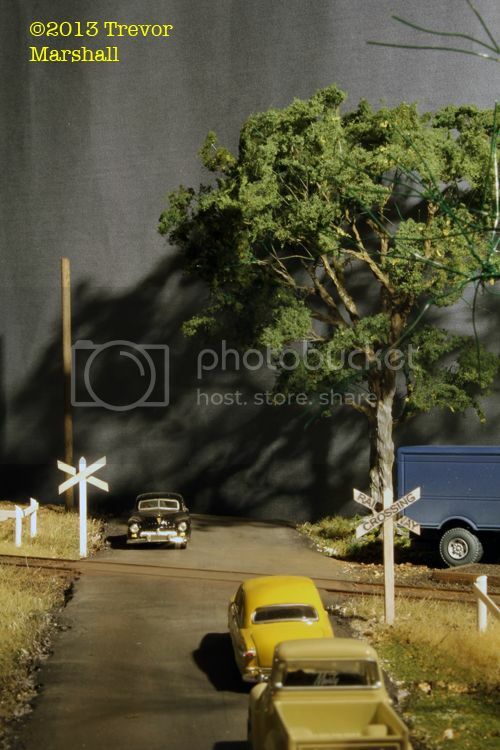 I’ve been having misgivings about the trees behind the St. Williams depot. I’m very happy with the trunks and branches, but less happy with the canopy. A couple of off-line discussions with friends confirmed that there was something wrong – and they suggested I thin out the canopy to give the trees more of a see-through effect. I revisited Gordon Gravett‘s first volume on Modelling Trees, and that is indeed a major part of the problem. Yesterday, I decided to do something about it. The canopy is quite dense – it looks like giant clumps of packing foam have been stuck into the trees. Worse, it hides a lot of the work I did to fashion the armatures in the first place: Why go through all that trouble if the end result is going to look like a ball on a stick? Again – much better, I think. I would say that you have taken Woodlands Scenics foliage about as far as it can go, and any further attempts to approach the peak of Gravett-inspired perfection will need alternative materials. Thanks to my sounding boards for the reality check! 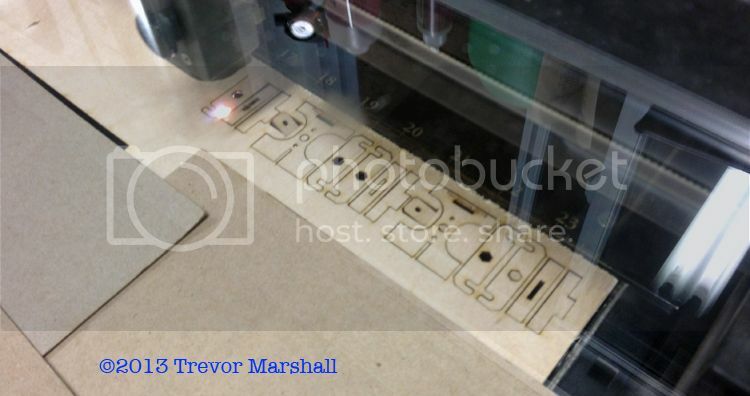 In early September, I mentioned on this blog that TractorFab would be offering custom roof trusses in laser cut wood. 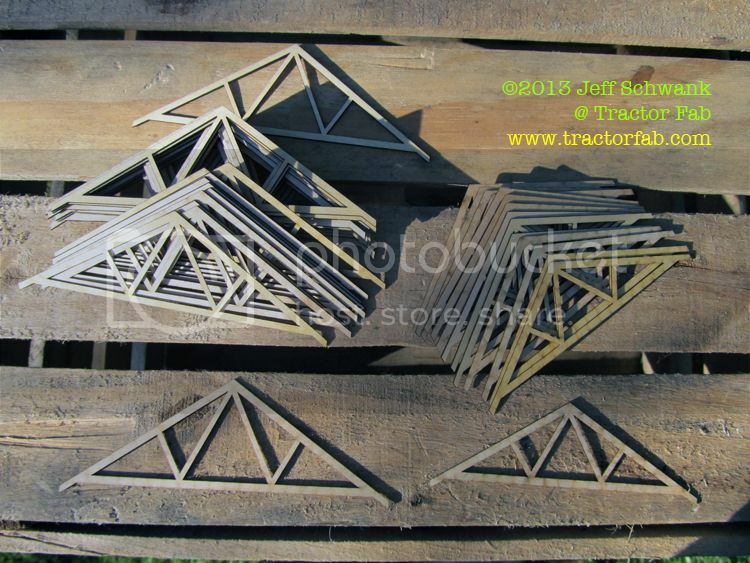 I followed up with TractorFab’s owner, Jeff Schwank, and a couple of weeks ago I placed an order for two sizes of truss. I’ll use the first size for the five tobacco kilns in St. Williams, and the second size for the garage behind the feed mill in Port Rowan. For each size, I provided Jeff with the S scale height of the peak, the S scale width of the structure, and the number of trusses I wanted. Jeff then quoted on each of the two sizes, providing me with a PDF of the CAD drawings so I could see exactly what I would be getting. The price is quoted based on the size of the truss required, and I think it’s quite reasonable. Jeff currently offers one style of truss but more are on the way, and if you have a custom design he can do those, too – for a modest set-up fee. 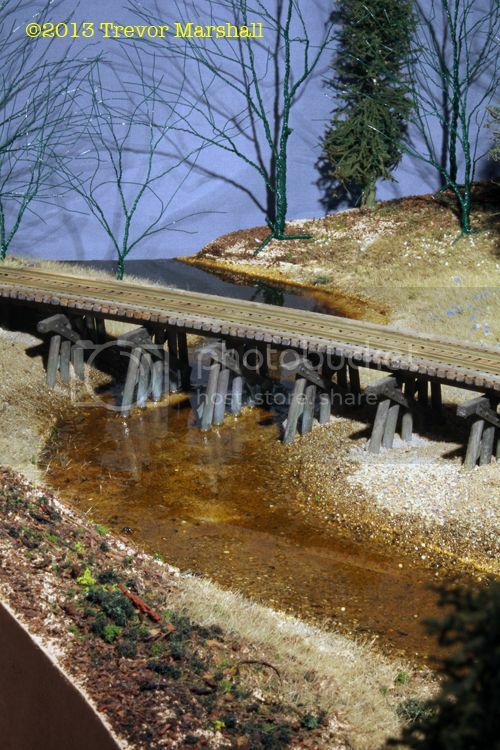 And while these are designed for 1:64 structures, the trusses would be useful for other scales as well. 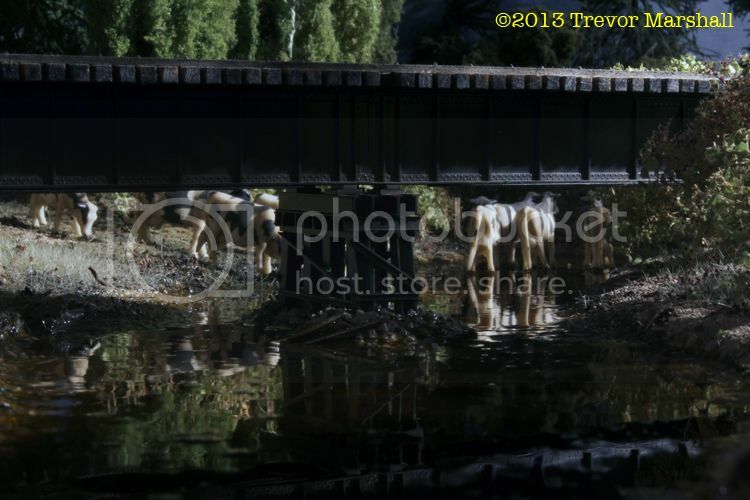 As shown at the top of this post, Jeff sent me a photo of some of my trusses before he boxed them up. The box arrived today and the trusses are exactly what I wanted. Thanks Jeff! Service was excellent and all of my trusses arrived damage free. What’s more, I tested some of the trusses in the joist setting jigs offered by Rusty Stumps Scale Models, and they fit beautifully. Being able to use these joist setting jigs for the trusses will make short work of spacing them consistently as I build a structure. These trusses will make building structures a lot easier. Roofs will be well supported, rafter tails will be consistent, there are no jigs to build for cutting and gluing up trusses from individual members… you get the idea. Highly recommended! It’s not at all obvious in the photo, but the car is staying on the rails, consistently – and it no longer leans to one side. That’s because over the weekend I upgraded the running gear on this car (and the adjacent combine) with Tim Trucks. The combine was the easier of the two to convert. The model has a small brass post soldered to the floor as a body bolster. I unsoldered this, then built up a replacement bolster from styrene strip. 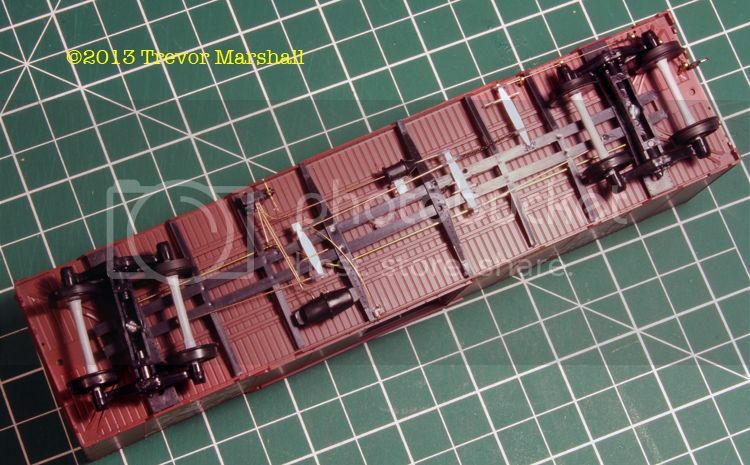 On the baggage-mail car, the body bolster was a square plastic block, injection moulded as part of the floor. I drilled a series of holes around this block, then cut from hole to hole with a cutter in a Dremel Tool, until I could remove the body bolster. I then cut a large piece of styrene sheet to cover the hole. Before installing it on the car, I added a couple of blocks of styrene to the top side of the sheet, and drilled through all three layers and tapped them for a 2-56 screw. The added styrene blocks go inside the car, and provide extra depth for the truck screw. I glued this plate in place, then fashioned a body bolster on it. In both cases, once the modifications were made and the new body bolsters fabricated, I screwed a styrene plate to each bolster and left it loose enough to swivel. To this plate, I then screwed the compensation unit. This allows me to remove the trucks without having to access the screw that’s directly above the centre axle. The side frames from the American Models trucks are now cosmetic. I pulled the side frames from the AM truck bolsters, then cut away the mounting posts and filed/sanded the backs of the side frames smooth. I then used a cutting tool in my drill press to grind away some of the plastic inside the journals to create a vertical slot. This cavity allows the ends of the axles to move freely behind the plastic side frames. I then secured the modified side frames to the sides of the compensation units with CA. Tim cleverly designed the units to be exactly the same width as the space between the side frames on the stock trucks, so no spacers were needed. In this photo, I have not painted the wooden sub frames. Even so, they’re barely visible. I will brush-paint them black and then dry-brush some more weathering onto the plastic side frames of the trucks, and the sub frames should completely disappear. In any case, I’m pleased with the appearance – and very pleased with the improved performance of the trucks. As a bonus, they better support the cars: the cars do not wobble, and they ride level – which was a challenge before due to the sloppy engineering of the American Models trucks. They also reduced derailments considerably. Yes – reduced: not eliminated. When I started running the mixed train with these new trucks, I still experienced a few derailments. I had far fewer derailments than before, but some of the derailments I experienced were new – they were in places that the old trucks had negotiated without any problems. 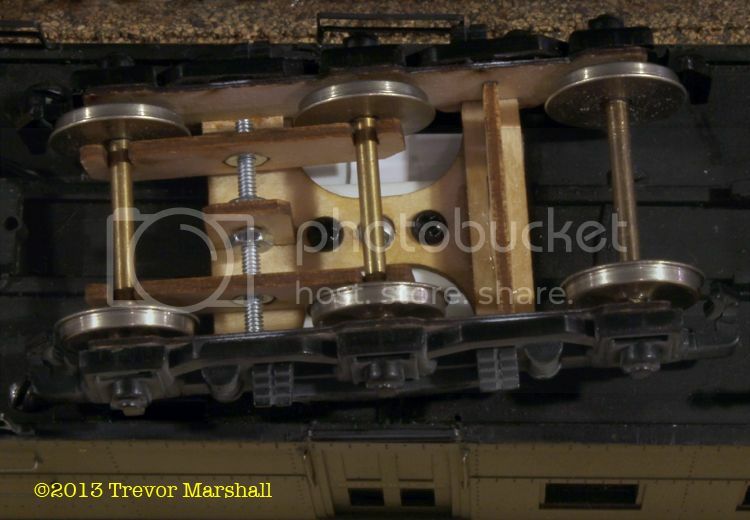 1 – With the axles now held perpendicular to the side frames, instead of being able to wobble in loosely drilled holes in the backs of the side frames, I no longer experienced derailments caused by a wobbly wheel set picking a rail joint or a turnout frog. 2 – I initially mounted the trucks with the trapped axles closest to the ends of the car. I had a fair number of derailments. I rotated the trucks 180 degrees – putting the trapped axles towards the centre of the car, and letting the car lead with compensated axles. That solved 90% of the problems. 4 – One trouble spot was due to the track gauge being slightly too wide. This allowed one wheel to drop enough that it would send the wheel at the other end of the axle up and over the rail. The non-compensated factory trucks probably rode over this spot with each wheel doing a bit of “hang time”, but the new compensated trucks will ride all the ups and downs. Once I determined the problem, a couple of spikes fixed it. 5 – One trouble spot was due to the track gauge being slightly too tight. Since two axles in each truck are compensated, they’re quite happy to ride up and over the rail at a tight spot. Again, once the problem was identified I was able to fix it with a couple of spikes. I’m not sure how the factory trucks made it through this spot. As an aside, the train slowed significantly at this spot as the tight gauge created enough additional drag to slip the drivers on the mogul. Fixing the tight spot fixed that problem, too. 6 – One trouble spot was due to a slight misalignment between two adjacent pieces of rail on the outside of a curve. The lead wheel would hit the end of the misaligned rail, and the compensated axle would deal with the issue by riding up and over the railhead. The factory trucks probably hit the misaligned rail and bounced away from it, instead of riding over it. Again, a few spikes fixed the issue. I’ll continue to do my testing. I’m running the mixed train the length of the layout – forwards and backwards, while facing both directions – and at top speed (which isn’t all that fast since I have put custom speed curves into my DCC decoders). But early indications are this has been a great success for me. Thanks again, Tim! Last night, Andy Malette and Mark Zagrodney visited for dinner and an operating session. Andy enjoyed seeing one of his CNR eight-hatch refrigerator car kits built up and running on a layout other than his own. And Mark had us in stitches at dinner with a story about a modeller who managed to CA his hands – and pieces of the kit he was building – to his forehead. It was a wet night outside, but we braved the weather for the short walk to Harbord House. We met my wife there, as HH is halfway between home and her place of employment. Despite the weather, the pub was quite full – so the four of us lined up along the upstairs bar for dinner. The up side: We had excellent, attentive service and could simply point at the pint we wanted pulled. The down side: Sitting in a row, it was hard for all four of us to engage in conversation. Still, I thoroughly enjoyed my portobello mushroom soup and reuben sandwich with fries and slaw… washed down with a couple of pints of Stationmaster’s Stout from Junction Craft Brewing. 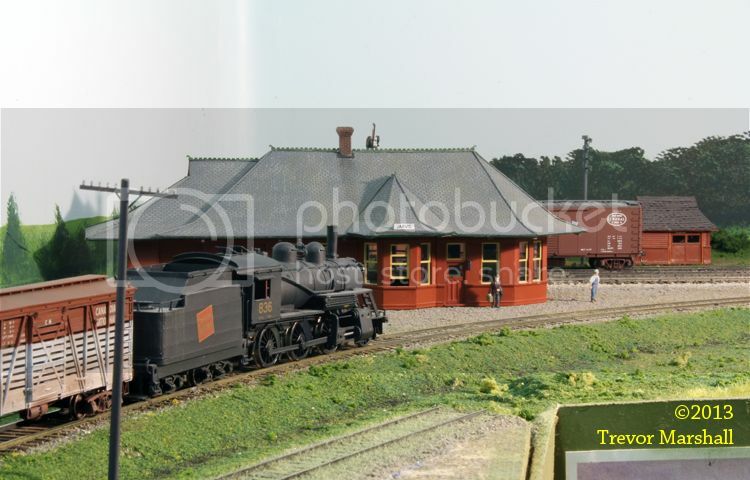 Own a piece of Ontario rail history! 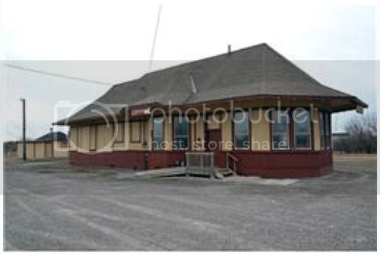 I went through Jarvis, Ontario yesterday afternoon and not only is the old station there – it’s also for sale! 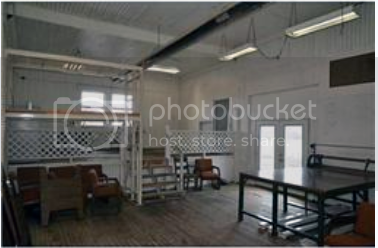 $169,000 (Canadian) gets you a 1,500 square foot station on 0.89 acres, zoned industrial. Here’s a link to the listing – keeping in mind that once it has sold the link will probably be broken. An excellent opportunity to own this local landmark! 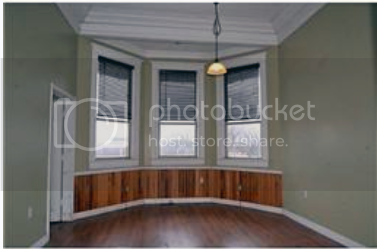 Set on .89 acres, this former train station is character filled with beautifully high tongue & groove ceilings & hardwood floors. 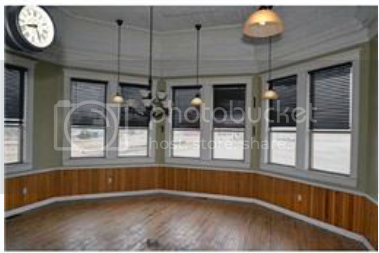 This unique building offers many business opportunities including restaurant use. Municipal services & natural gas. Lots of parking. Located in Jarvis with high exposure from Highway #6. Jarvis was the junction between the Hagerville Sub (from Hamilton to Simcoe, and thence onto Port Rowan and Port Dover) and the Cayuga Sub. The Cayuga Sub was owned by the CNR, but most of the trains on it were the Wabash Railroad’s Red Ball fast freights, which cut across southern Ontario to shave time off the Detroit-Buffalo run. If this inspires you to buy the Jarvis station, let me know!